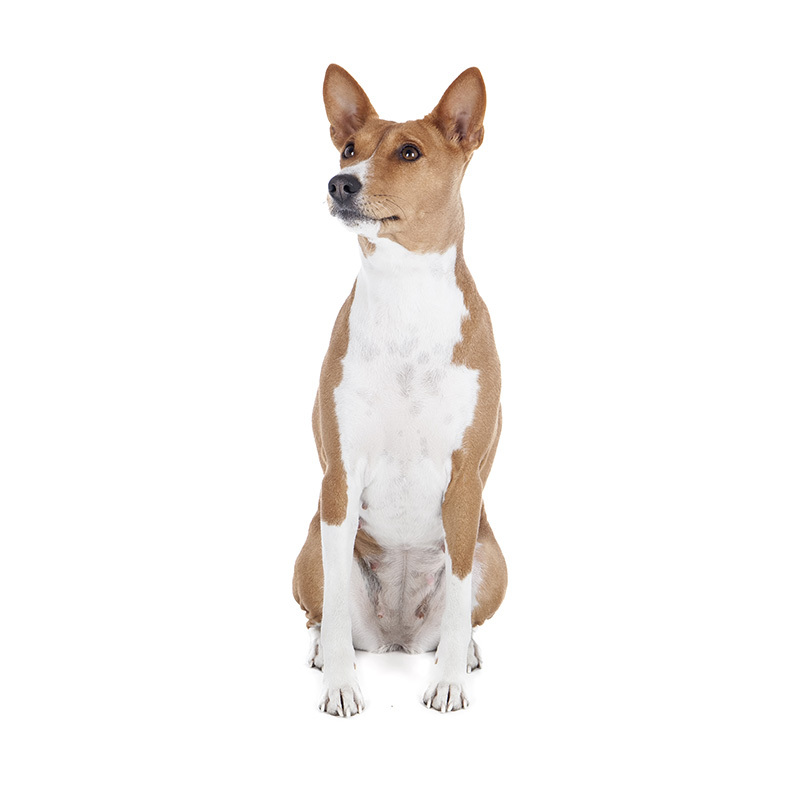 The first traces of the Basenji were found in the Egyptian tombs and on wall drawings dating back five thousand years ago. They are probably one of the oldest breeds of domesticated dogs. They were used as hunting dogs by the Egyptians and were adopted by tribes throughout the Congo in Africa. Centuries later in the 19th century, Basenjis were discovered by British explorers in the Congo region of West Africa. Interestingly, they were almost in their original form. Their independence, hunting ability, and resourcefulness had helped the Basenjis to survive on their own. The first time the Basenjis were imported to Europe, all the dogs died of disease shortly after their arrival. The first successful importation occurred in the 1930s to England and the United States. When the first Basenjis were shown at Crufts in 1937, they created so much interest that police had to control the crowd. The Basenji is a playful, proud and faithful dog – who will try to outsmart you every step of the way! They are incredibly intelligent, but also independent thinkers. They have a reputation for being stubborn, but can be taught with the right handler. It is very important that the owner becomes this dog’s pack leader or they might do what you want or they might not. Basenjis need lots of exercise, and they love to play and stay busy. They have a strong hunting drive and will chase cats and other small animals after they have leapt over your fence; it will be hard to chase them down as they are very, very fast. When in pursuit of their prey, they have no car sense. In fact, the most common cause of death for a Basenji is being hit by a car. It’s true that this breed does not bark; however, they can crow like a rooster, yodel when they’re happy, and whimper and wail when they’re sad. Most Basenjis have a love for children; however, they won’t tolerate being abused by them and may bite in self-defense. They might even try to dominate children by nipping at them. The Basenji is a challenging breed, but those who have taken on the challenge, swear they are the best companion a person could have. The Basenji usually weighs between 21 to 24 pounds and stands approximately 16 to 17 inches tall. They are a small to medium-sized dog with a solid build and long legs. Their coat is very short and comes in a variety of colors from chestnut and white to black and white. The Basenji is often aloof and sleeps about 20 hours a day; however, the other four hours that they are awake, they’re ready to roll. They walk with a horse-like gait. Basenjis are meticulous about their cleanliness, constantly grooming themselves like a cat. They are fantastic hunters, able to track game by either scent or sight. Their keen nose can scent up to 80 yards away. Basenjis don’t like water and may refuse to walk in the rain.